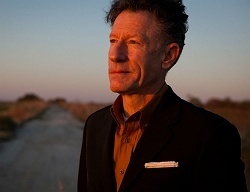 Subject: LongIsland.com - Your Name sent you Event details of "Lyle Lovett & His Large Band at WHBPAC"
Full of wit, wisdom and Texas-sized storytelling, this Grammy winner's finely crafted works are rife with characters and concepts that loom large on the American landscape. He defies conventional genres fusing elements of country, swing, folk, gospel and blues. Performing hits along with new music from his latest album, RELEASE ME, he continues to give us a unique perspective on life with his fresh songs, hot country beats, and tender ballads.